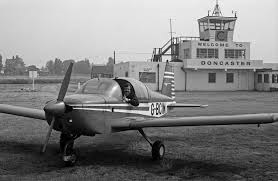 The site of Doncaster Air museum has aviation history dating back to 1909 & one of the buildings, particularly building 21 was constructed to accommodate the formation on 1st November 1938, of the 616 fighter squadron who were a highly regarded squadron in World War II. For some reason building 21 is very active in terms of paranormal activity & various incidents have been reported from dark shadows, light anomalies & even poltergeist activity. Sayers Tyre and Exhaust Centre, Athron Street has its fair share of ghostly goings on, its said that building is being haunted by a lonely man goes back many years, though recently the manifestations have now started to throw stones and coinage that appear from nowhere and fly towards the owner of the garage. In Adwick, there is a wood know locally as the hanging wood. These were a popular place for a well known highway man ‘Nevison’ he used to hide here before pouncing out on unsuspecting victims. 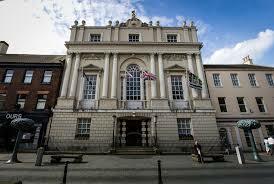 After he was hung in York, his ghosts is said to have returned to the scene of better times. 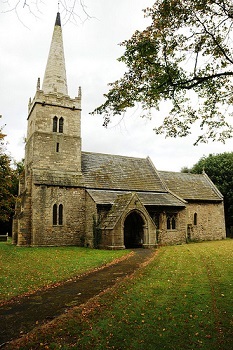 The village of Auckley has been home to a famous grey lady apparition who has made appearances at the rear of crowds particularly at weddings and christenings for more than 300 years. The story goes that she was the youngest daughter of a local chap who was kept as little more than a servant. She had little opportunity to meet a man herself and so took solace in the happiness of others, and it soon became a custom at feast days to set a place for the grey lady and a special toast was made. 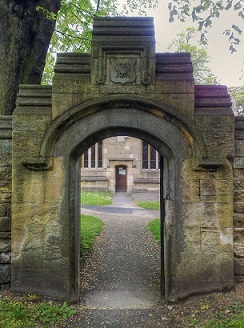 There is an urban myth that relates to a gravestone in the grounds, named "The Devils eye". The myth goes that if you spit on the eye, and run around the church 3 times, you will befall ill and death. The stone has been moved from its original location and is weathered so it is unknown at present who the stone belongs to, and just how many victims have been claimed by this curse. I have heard many stories about a friend of a friend etc. but as yet no real evidence has been found.. This alley is between St Peters church and the Terrace. 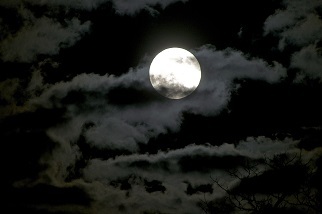 The story is that if you walk half way down the alley at midnight on a full moon and spin around anti clockwise 3 times and repeating ‘Satan stroke my back’ the devil himself will appear and give chase to the end of the alley. Over 30 years ago a courting couple was outside the gates of Brodsworth Hall, when all of a sudden a mist started to appear in the shape of a man from the waist up wearing what appeared to be a three cornered hat. The couple were quite spooked at this and drove off, when the couple looked into the history of the site, they found that the place where they were parked used to be part of the old Great North Road and many other people had also witnessed strange happenings there too. Storey submitted by Lolly in Thurnscoe. A young couple walking through the churchyard spotted two elderly ladies in clothing from a bygone era walking towards them along the same path. The younger pair stepped into the church porch, listening to the old women's approaching footsteps which suddenly stopped in mid-stride. They stepped out of the church pouch and looked for the women, who had just vanished. 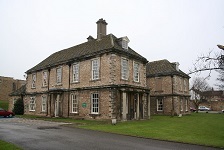 Also known as St Annes convent, this building was built about 1797. 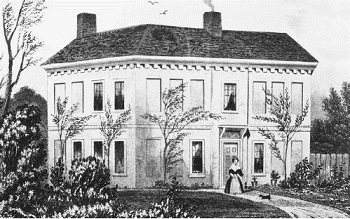 In 1820 Michael Anne altered the exterior to give the house a medieval effect. The sounds of a music box were heard around the hall 'before the days of radio', and a small woman dressed in dark clothing was observed walking down a corridor. Two more witnesses saw a man dressed in grey which they mistook as their father as he dashed down the staircase. This could be the same figure that one woman woke up to; he stood over her bed watching her with a look of hatred and madness, vanishing as she hit the lamp. 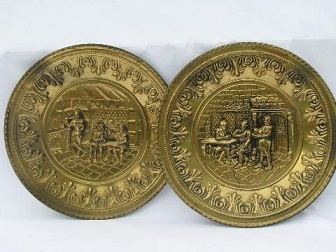 A previous occupant who lived here as a child recounted how the family had several brass plates with sea scenes on tied to the wall, which would fling themselves off the wall and onto the floor as if someone was annoyed at them being there. Heavy male footsteps could be heard, stopping outside a door - the boots could be briefly seen under the door before fading away. 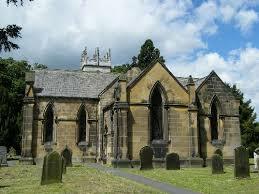 An unusual one for Haunted Yorkshire, but we thought this sighting was worth a listing. A winged serpent was spotted in the area of Cawthorne Park back in the 1980s, no other sightings to date have been reported. 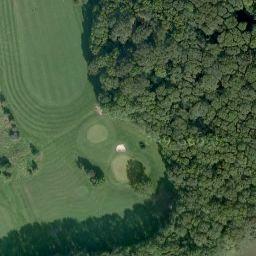 Many sightings have been seen around this area, including a woman in white walking up the fairway. This area is also rumoured to be a place for pagan rituals. Many of the old building around this area are also believed to be haunted. 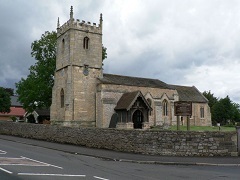 A short distance from St Peter's Church in Conisbrough there stands an unusual old building which appears at first glance to be Georgian in origin. Further investigation into its architecture reveals that the old house, now a restaurant called Cromwells, has much earlier roots, and is believed to have been built during the 1600's. Throughout its history, the building has had many uses - as a farmhouse, a boarding school, a post office, and a community centre. 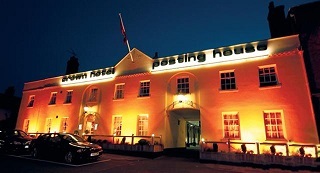 In 1983 it was sold on to become what is today a licensed restaurant, although unfortunately a rather unexpected visitor from the past was handed down along with the deeds of the property, much to the surprise of the current staff! Before recent alterations changed the interior of the building, the stairwell leading to the upstairs bar was next to a narrow passage. Chef Ian Godfrey recounted how one of the waiters was surprised one afternoon by a figure in a long cloak and a large hat with a feather, rushing past him as he made his way down the stairs. The figure, similar in appearance to a Cavalier, disappeared in an instant, leaving the waiter startled. It is perhaps no coincidence that an unseen hand has on occasion slammed the kitchen doors on unsuspecting staff, causing them to drop handfuls of plates. Another local legend tells how one of the former occupants of the house in days of old was involved in an affair with a local man. When her husband found out, she is said to have hanged herself from one of the ceiling beams near the stairs. This area is close to the old coffee lounge, where strange atmospheres and icy coldness have been detected. When renovations were taking place in 1989, an electrician was rewiring in the upper part of the building in semi-darkness. He was so convinced that a man had walked past him and disappeared that he dropped his tools and ran downstairs to confront his colleague, whom he suspected of playing tricks. Assured that this was not the case, the electrician then realised that the figure he saw had been wearing old-fashioned clothes, with sacking gaiters on his legs! The history of the building shows that it was used periodically as a working farmhouse for .more than two hundred years. The dress of the apparition would suggest that he was a land worker, and his appearance has been recorded on several occasions since. The current landlord was preparing to close the premises at the end of a busy evening, when all except two of the guests had left the downstairs restaurant. Without warning, a huge gust of air 'screeched' past their heads and 'banged' into the wall close to the chimney. Although the sound was so loud that the remaining guests left in terror, nothing was physically seen, and no explanation could ever be offered. A The manager at the hotel called in a ghost hunting group after the ghosts of a woman was seen walking along the upper corridor, along with a ghostly young child was also reported sitting in the corner of the restaurant. There are rumours of a few ghosts at this place, a grey lady I believe. A family once had a strange encounter with a phantom piano there once, The family said that it was quite unnerving and "real" (If you get my meaning). I did however speak to a security guard there, who told me that the stories of the ghost had been made up by a previous owner of the house. But for those of you who know the place, you have to admit, its creepy. Further comments: Sightings of this spectral figure date back to the 1770s, when he was first seen drifting among the ruins. Reports also exist of sightings of a white woman, and the sounds of quiet voices and bumping. Reports have quite recently been made that flashed of light have been seen coming from the castle in the evening, local press have run the story on several occasions. night and never saw anything like I saw that night. A private house holder in Darlington Grove Moorland, got more than they bargained for when they bought their house there. Unknowingly to them they were sharing it with a ghostly gentleman over six foot tall who made several appearances in their a house. 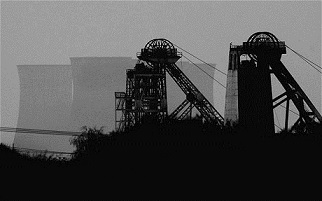 The Doncaster district has records of coal mining dating back several hundreds of years. In times of old children were employed underground to act as trappers opening and closing wooden trap doors to aid air circulation in the tunnels for the miners. Their wages were poor and hours were long. A ghost known as the lantern boy was believed to be a trapper who died in a tragic accident underground at Doncaster Colliery in 1800. Untill the middle century sightings of the lantern boy where common and the last sighting was in 1945. Early one Autumn evening a boy riding his bike home stopped to ask a man the time has he rode his bike towards Denaby on the cinder path fearing that he was going to be late home. Only the figure to turn around and to the boys horror he had no face. 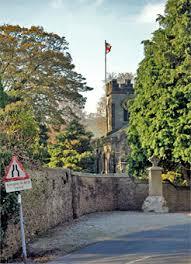 The figure chased the boy right up until St Albans Church before he vanished from sight leaving the boy badly shaken. In addition to this story, 2 girls were walking home one evening up the crags and noticed a man walking along the adjacent path, as the paths met the girls looked towards the man and were horrified to see that the man had no face. These sightings have been going on for many years, the first story dates back to the 1920s and the second story was in 1994, it is believed there are many other unreported sightings of this strange spectral figure. A young girl (know as the Mexborough Ragger) is said to have been walking through a tunnel taking water to the quarry when a train hit her. There is a archway in the tunnel wall, which you can sit in, then you say her name 3 times and she reappears walking through the tunnel. Only a few people have been in contact with the white lady. I am yet to be one of them! This is another reputed haunted site rumored to home the spirits of miners who have lost their lives down the pit. the old site is now a nature reserve, but many of the old bridges still exist, reports even to this day of people seeing unexplainable figures walking along the old railway lines. The central section of the hall which was burnt down was said to be haunted by the ghost of a daughter of the owner who lost her life in the fire. 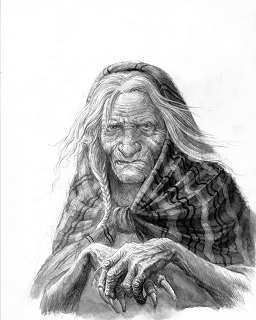 Children in the 1930s imagined they had seen her and she was known as the White Lady, today the hall no longer stands, but the legend of the white lady lives on. 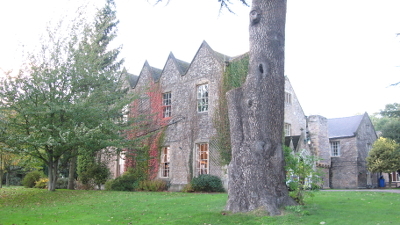 There is reputed to be a ghosts called Jeffrey at The Old Rectory in Epworth. The poltergeist activity was well documented by the Wesley family whilst they lived there. 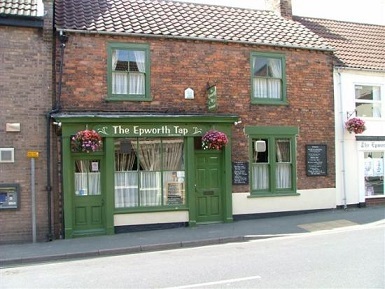 There are stories about a ghost that lives in the building of the Epworth Tap wine bar. People have reported who have been there late at night have the sensation of someone looking over their shoulder along with the feeling of being watched. 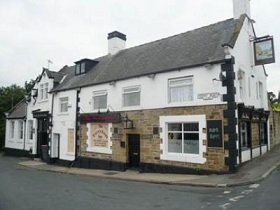 The Ferry Boat Inn at Mexborough is the home of a headless ghost, the story goes that in 1694 Admiral General Rainsborough fled Pontefract under the cover of darkness fearing for his life, after travelling down the pack horse trail through old Denaby, he arrived at the Ferryboat Inn where he was ambushed and beheaded by some soldiers. 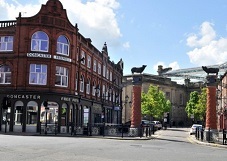 It is said that to this day, The Admiral walks the old part of the pub and has been seen on numerous occasions by some of the regulars who drink there. Staff at the offices have reported cold spots and have heard strange footsteps after most staff have long gone at night. An local investigation team, on Halloween night, reported encountering a little boy and his mother, a former boxer, an insurance clerk, and a tailor. But no one really knows what resides there! 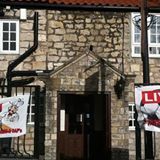 This old relic of bygone days is a location where they used to hang villains and scoundrels, located between Mexborough and Doncaster; it seems connected with some of the local highwayman haunting. 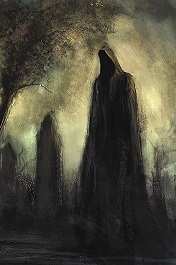 The ghostly manifestation of a gallows is reported to appear at times. At Haunted Yorkshire, we always like to hear peoples views and correction to our stories that we have. We would like to thank Rod for bringing this to our attention in this case. Please see the amendment below…. Found your site of interest but I believe you may be on the wrong track regarding the above. The so called 'Hangman Stone' is not where people were ever hanged. As far as I am aware, the stone was; and I stress was, on a junction where the highest point of the road starts to dip in to Barnburgh. It's what I was always taught anyway. My point though is that the stone gained it's name, reputedly, when a workman or poacher, depending on which tale you listen to, fell badly at the side of the stone. The lamb, or sheep he was carrying went over the rock, and the feller didn't. The cord he had tied it with was wrapped or trapped against the mans' throat, and he died, unable to free himself. Hung by a sheep. Take my word for it; if the place had been used as a hanging place, the field names would tell you. Approximately thirty years ago on a dark cold night , a group of friends were having our usual wander around the village (Harlington), as they were walking along the road from Harlington to the Crown Inn area, when as if from nowhere a man dressed in 1940s workers clothing appeared in front of them, "ayup" they all said to the man in unison, But there was no answer, a matter of seconds later they all turned around to check out the strange figure and to their horror he had vanished. 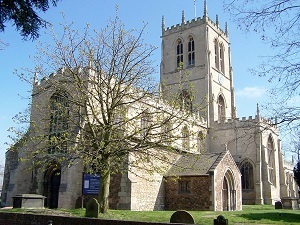 On October 10 1965, a young man from Doncaster was celebrating his birthday when he decided to take a short cut through the grave yard, in a hurry not wanting to hang around on a cold night in the graveyard, he just turned the corner of the Church and was looking up to navigate his progress, he could see a woman heading towards him in as much of a hurry has him. He could see quite clearly that she wasn’t wearing suitable clothing for such a cold night just a long flowing dress. He even notice that his feet were making a crushing noise on the frosty gravel but her footsteps were silent. He had an appreciation of the female form, as this young woman passed him, he turned his head to have another look, and there, was no one there, All that was there, was a very strong aroma of roses and crushed mint leaves. He cleared the cemetery wall in a single leap and was home in two minutes flat. 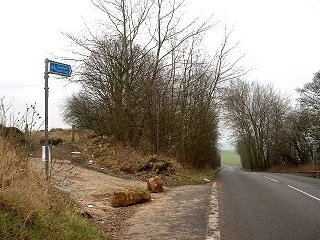 Just off the B1403 in Doncaster there is a lane known locally as ‘The Cannon ball run’ A couple in a parked car watched a soldier wearing a hat march by their car before vanishing in the beam of their headlights. 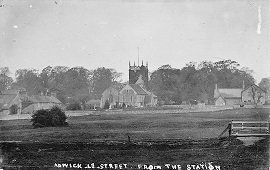 Approximately 20 years ago a couple were coming home from work late at night, (approx 3 am in the morning), Has they approached Hickleton Crossroads opposite the monument near St Wilfred's church. At the crossroads they were waiting to turn right when they noticed two old men who appeared to be dressed in unusual old fashioned clothes. One was sat in an old fashioned wicker type chair with large wheels, they were both facing forward looking directly at them. They sat staring at the pair for a while because they looked so strange and thought is could be an elderly couple who were a bit confused, but the old couple didn't seem to move has the couple in the car pulled out of the junction the elderly couple disappeared. Storey submitted by Brian in Barnsley. This ghostly figure is said to still ride his horse, seeking his head that was taken from him as punishment for his crimes in the 12th century. On the 1st February 1915 Conisborough suffered an earthquake measuring <3 on the richter scale killing a young woman, up to date there has been numerous sightings of a white lady that is said to be her ghost. In addition to this, if you enter the caves down there, you will experience a time slip due to the quartz rock formations. 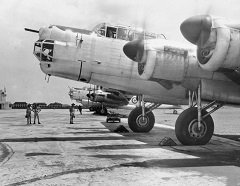 In World War II, Lindholme Prison in Doncaster was used as a base for Wellington bombers. But one day, a bomber overshot the runway, crashing and killing all five Polish soldiers on board. 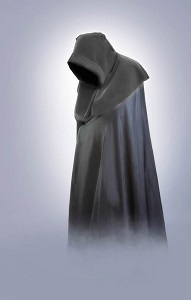 For years afterwards, the moors were haunted by a figure in flying costume that appeared at midnight, asking strangers directions in a foreign tongue. 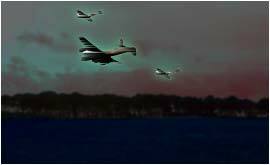 Soon, in Finningley and Hatfield, reports started coming in that the tail of the plane could be seen when the ghost was believed to be around. In the 1970s, the wreck of the plane was finally found, and the bodies of four of the airmen were recovered. But the ghost still appeared from time to time. It was only in 1987, when the body of the fifth crew member was discovered and given a military burial, that the apparitions stopped… or have they? A Polish airman who died when he crash-landed, 'Pete the Pole', aka 'Lindholme Willie', turned up at the airbase several times in the years following his death. Even when the former airbase was replaced by a prison in later years, the pilot reportedly turned up in prisoner's cells. A witness recalled how he and a friend were walking across the deserted airfield at night, and seeing a strange light in the control tower. Both knowing that the building should have been empty, the illumination unnerved them slightly. As they passed by a hanger, they were suddenly surrounded by the sounds of activity - they could hear the hanger doors screeching open, the engines of aircraft starting up, and the patter of many pairs of feet running by them, though nothing could be seen. 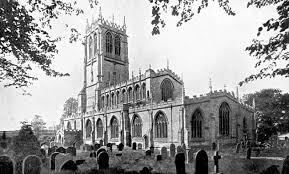 A recent website visitor sent us an email asking if we had any stories about a ghost sighting in Marr, Doncaster. 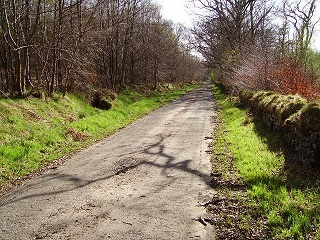 After a friend of his had been passing through in the summer of 2008 and saw a man run across the road and vanished before he reached the other side. If you have any further information on this sighting, please email us this through on webmaster@Haunted-Yorkshire.co.uk and we'll add it to the website and let our website visitor know. Since we added this story to the website, a further 2 sightings of the man have been seen, one reportee named him as an old miser carrying a money bag. 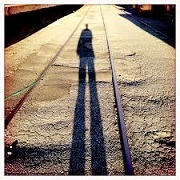 This tall, thin gentleman has been seen gazing at the portraits in the Mansion house based in Doncaster, and is sometimes seen walking behind any important guest who may visit the building. The miller in question had his mill swallowed into the ground after he worked on the Sabbath, though the grinding of the mill stones was said to be heard for years after. 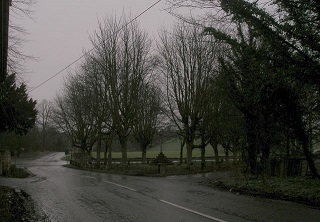 At the top of Stripe Road near the old farm house there have been sightings of a lady old withered and dressed in a grey gown walking across the road, the ghostly figure has been seen on several occasions by people from the village. 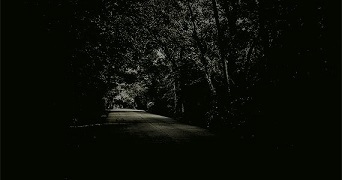 I don't know the history, but I wouldn’t walk down there alone at night. 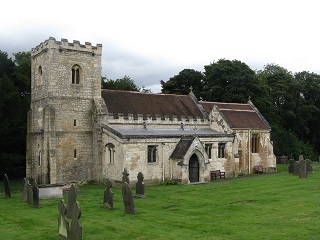 In 2007 a family visiting Tickhill church were taking photographs, when they caught what appears to be a Knight in armour stood at the side of their son. No explanation can be made for the spooky figure stood at the side of him. 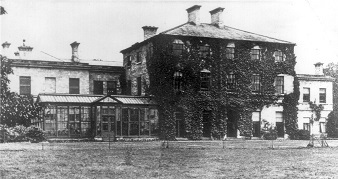 Reports of a figure of a man, 6 feet in height and dark, was seen in the 60's at that estate. No further reported sightings have been made. It is unsure as to what its real name is, I find it highly unlikely that the location is really called "Creepy Hollow", but a name it has picked up over the years. Most of the residents there know it by its name. 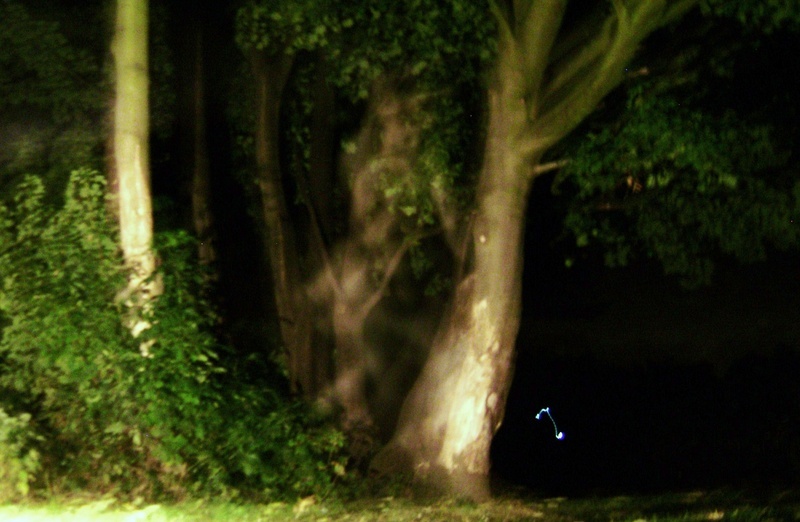 It has a spectral figure of a green lady, who is said to carry her head occasionally when she has been spotted. She haunts a large area of this woodland and is seen on a certain path. Apparently this place is only for those of a strong disposition and iron will. 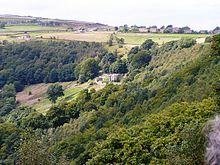 We now believe the location is named Lady Wood. 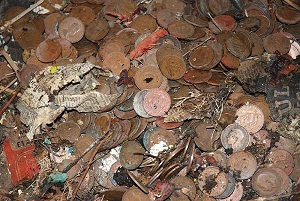 It is said that there are phantom miners in the tunnels and mines. Many of the workers witnessed sightings of miners who were killed many years before. Noises of banging and cries for help were all heard by many, and many of the minors didn't like being left alone in the mines incase they were witness to another unexplained happening. 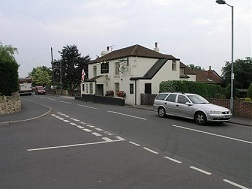 Volunteer Inn, (now demolished) which was built on the well known site of the French Gate Centre in Doncaster. Cynthia was the nickname given to this ghost by the landlord and his wife. 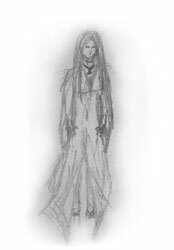 They described the phantom woman as appearing so dainty and gentle that they grew attached to the spirit. Today, even in the new build of the Frenchgate centre, staff have reported seeing a figure of a woman when the building is closed. Could this be Cynthia still haunting the place? Apparition of young servant boy who stands in the corner of the dining room or sits at the feet of unsuspecting visitors has been seen on many occasions, plus the ghost of child seen on the back staircase which leads to a former nursery/playroom, in addition to this a gentleman dressed in Victorian clothing and with huge handlebar moustache has been seen on ground floor, security staff there say they always have the feeling that they are not alone. Wells road, is not far from the devils island area of Wheatley, its got quite a bad reputation hence the name, I guess, but I know that one of the properties here has been the centre of a poltergeist visitation a few years ago. What is interesting about it is, the name of the road "Wells", comes from the fact the street is built on an old well that was the site of the local execution place of hundreds of witches (Suspected witches), that were cast down it as punishment for the crime of witchcraft hundreds of years ago. The showrooms of the Yorkshire Electricity Board in Mexborough have a record of odd happenings, which have taken place over the past twenty-five years or so, according to Mr. C.R. Pocklington, who worked for the YEB in various capacities for twenty-seven years, until his retirement in 1974. He spent the last sixteen as a salesman in the Mexborough shop, and says: 'Over the years a lady assistant became such a bag of nerves, she had to retire early. A male assistant, who though normal enough when he commenced at the shop, soon required intensive psychiatric treatment and a young female assistant who was married at the age of twenty-one, became a widow less than three weeks later.' Mr Pocklington himself had very little time off work through ill health, but in 1959 he suffered a stroke which robbed him of the use of one eye and put him off work for nine weeks. He continues: 'We eventually brought these happenings to the attention of the Area Manager, because we felt they were too much of a coincidence and because we felt there was something malevolent about the shop. 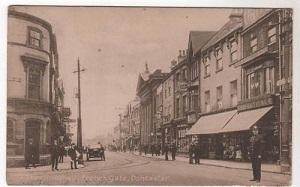 The Area Manager was sceptical and said that these things could have happened anywhere.” Some time in 1969, Mr. Pocklington was alone in the shop, the other two assistants having gone to lunch, when a man came in and made a purchase from the 'small items' counter on the left of the shop floor. Mr. Pocklington took the cash from the customer and, as he did so, saw a lady bending over a display in the centre of the shop floor. He told me: 'She was dressed entirely in a black, shiny material, with a broad hem on the jacket and three parts of the skirt. She wore black stockings and a good pair of black shoes. I couldn't see her face.' Telling the lady he would only keep her waiting a second or two, Mr. Pocklington turned around to put the cash from the man's purchase in the cash register behind him, a mere two or three seconds, and then turned back to serve the lady, but she had disappeared. She could not have got out of the shop in the length of time it took to put the money in the cash register and although Mr. Pocklington searched the shop and looked outside, he says he could find no trace of her. Was this the malevolent spirit which had caused so much distress in the past? Or was it the ghost of some previous occupant of the site? 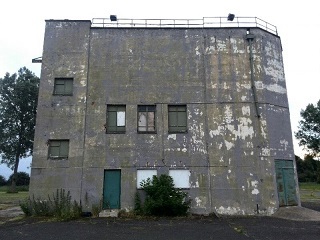 It appears, so far as I can ascertain, that the premises were built in 1936 on ground which was barren with no record of any previous building on the site. Mr. Pocklington told me that as a boy he used to walk over the land occasionally on his way to the local grammar school during the period 1924-28. So well probably never know the origin of the spectre, nor who or what caused the mysterious sounds of movement on the lower level of the showroom floor, or why the shop would sometimes go very cold for no reason. The store has now closed and is used for other purposes now. This ghostly coach has been observed dashing down Wong Lane before fading from view. Also strange figures have been seen from other times walking along the road side and many people have said that these apparitions may have caused some of the road accidents along that particular road.